“Peace is the foundation of yoga. Karma yoga is the effort for bringing peace and happiness in the world.”Yoga day was proposed by Indian Prime Minister NarendraModi in 2015 and since then International Yoga day is celebrated every year on 21stJune.This year the country celebrated the Fourth International yoga day. 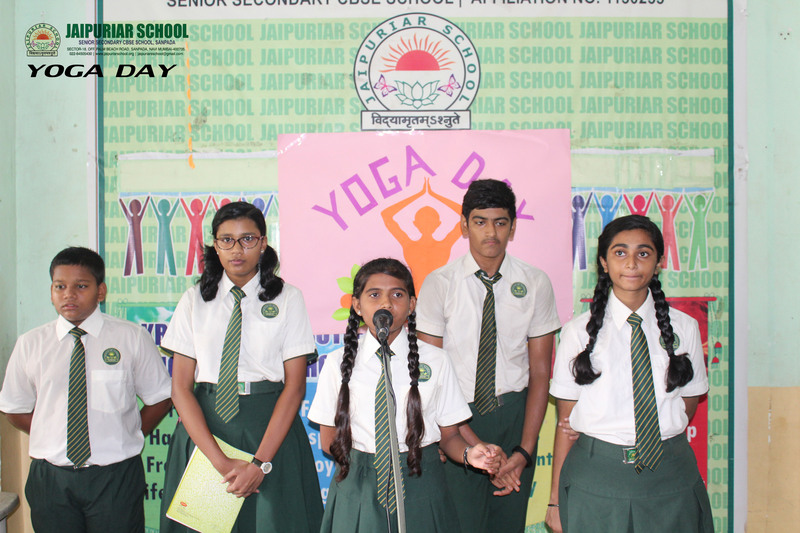 The theme for Yoga Day for 2018 is Yoga for Peace, keeping this objective in mind Fourth International Yoga day was celebrated in Jaipuriar School Sanpada on 21st June 2018. Yoga session was held at assembly area by the PT teachers. 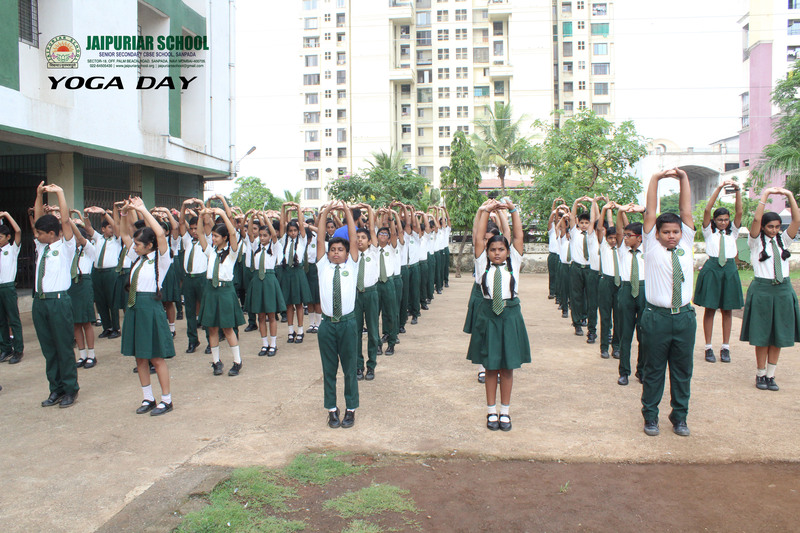 Different asanas were performed by students and teachers to bring about holistic approach to health and wellbeing. 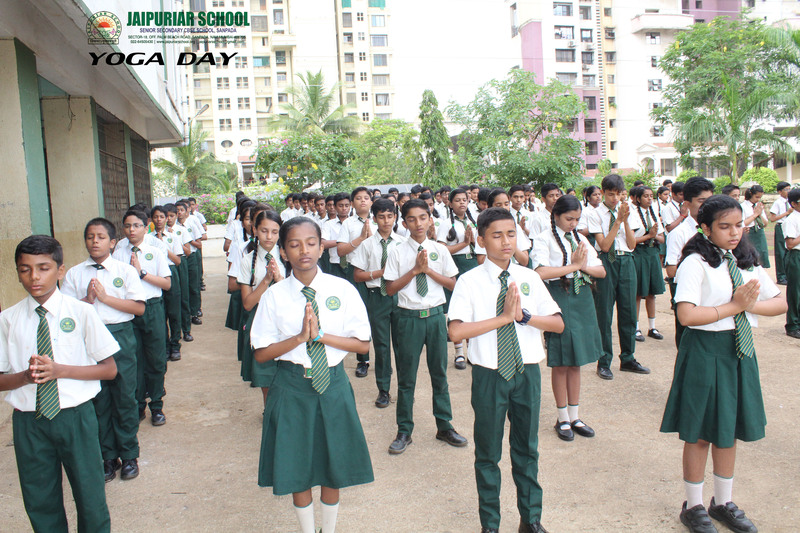 Speech on the Importance of Yoga, especially for students, was given by the Principal. 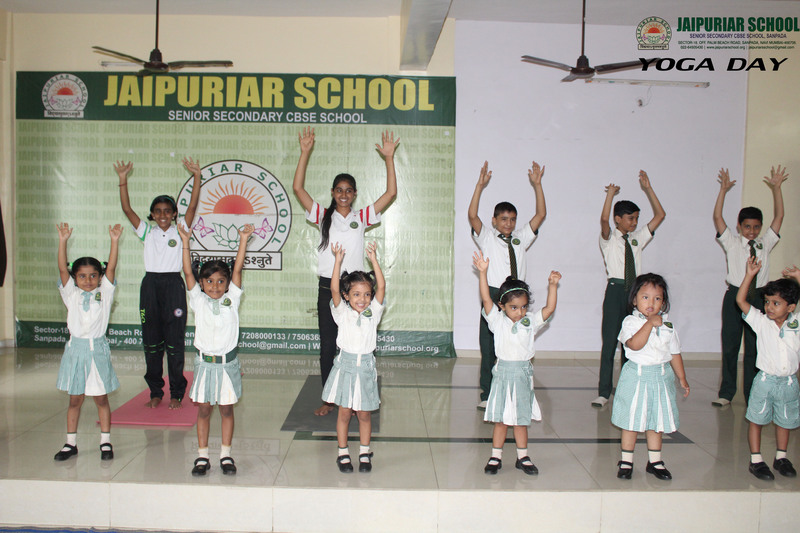 She expressed “Practising regular yoga reduces stress and promotes relaxation for the students.Practising yoga encourages a positive attitude and enforces stress management” Students from Pre Primary section to secondary section participated in the yoga sessions conducted in the school.